Can I just say this about Deflate-Gate? Yes, I am fully aware that football fans everywhere are sick and tired of the mass over-reporting of the biggest PSI scandal of our lifetime. But, there is one glaring factor that makes the punishment levied by Commissioner Goddell more than justified: an under-inflated football is physically easier to hang onto. Sure, maybe Brady prefers that little extra squish to his footballs. According to The Wells Report, it is “more likely than not” that Tommy got his cronies to alter the footballs to his liking, but this isn’t the part of the scandal that irks me. Whether Brady likes his footballs a certain way or not, is not the competitive advantage the Patriots organization deserves to be punished for. The real edge that New England got from altering footballs was in the run game. More specifically, with ball security. The Patriots rarely put the ball on the turf. In fact, they only lost FOUR fumbles in all of 2014 (including playoffs). Three of those fumbles were committed by Mr.Brady himself. The other was dropped by Brandon LaFell in Week 14. The Patriots went a full season without having a running back lose a fumble, and that isn’t a competitive advantage? And you’re telling me Belichick had nothing to do with this? I personally have trouble buying that. Enough about the Deflatriots. Let’s talk about a competitive advantage you can obtain in your fantasy running game by targeting these four rookie running backs on draft day, all of which will out perform their ADP and make an impact in 2015. So, without further adieu, let’s talk about some first-year ball carriers that will help your team in 2015. “Gurley is the pick that will lead your team to victory!” Mark my words! Next to maybe a pitcher tearing a ligament in his pitching elbow or tearing a shoulder labrum, a torn ACL is one of the most devastating injuries in fantasy sports. That being said, this knee injury could be a blessing in disguise for fantasy owners ballsy enough to take a chance on the Gurley-Man. -The tear was not a result of over usage, he more-or-less just fell awkwardly, it was very fluky. -According to Sirius XM NFL Radio, Gurley has been doing running drills since early April. -Dr. James Andrews said Gurley was “probably six weeks” ahead of schedule with his recovery at the combine. But just in-case you didn’t see the injury, or just plain forgot, here is how it all went down. But, that’s okay! In fact, it’s rather encouraging to know that Gurley will not be deployed into starting duties until he is 100%. And let me tell you, he will be more than worth the wait. In 510 carries at Georgia, Gurley averaged 6.44 YPC and 3.9 YPC after contact. He is a big, physical runner who many draft experts compare to the likes of Marshawn Lynch, Adrian Peterson, and former Ram Steven Jackson in his prime. Not buying the hype? Here, watch this. Yeah, he was a man among boys during his time in Athens. Gurley will be the first real bellcow back that Fisher has had at his disposal during his St. Louis tenure. For those who don’t remember, Fisher likes to lean on the run when given the right back. In Tennessee, Fisher had Eddie George and CJ2K (back when that name actually meant something). George averaged 21.35 carries/game under Fisher. He also had four 1,000+ rushing yard seasons. Chris Johnson saw 19.7 carries on average. His 2,000 yard season came while Fisher was in Tennessee. George was an absolute horse for Jeff Fisher’s Titans. Gurley should excel in the run-oriented, play-action passing game the Rams like to use. He is the rookie with the highest upside and has the potential to be a RB1 in 2015. His injury concerns provide an excellent buying opportunity on draft day, and as long as you grab someone to fill the void if he misses time early in the season, you will be rewarded. Don’t believe me? Ask anybody who drafted Odell Beckham last season. I’m sure they didn’t mind waiting. Among all the rookie backs, Gordon is as safe as they come. He is healthy, has a clear path to playing time, and had the best 40-yard dash among all the running backs at this year’s Scouting Combine. Gordon leaves snowy Wisconsin for sunny San Diego, and his situation is as perfect as Ron Burgundy is classy. As far as regular carries are concerned, his competition is Donald Brown and Brandon Oliver. Not exactly the most inspiring group of backs. One of his few flaws coming out of the draft was his pass protection skills. The Chargers brass has came out and said that they aren’t worried about Gordon’s ability in protecting against the pass, but I guess the truth will be in the tea leaves come training camp. His apparent lack of pass protection skills and the fact that he only caught 22 passes his entire collegiate career leads me to believe that Danny Woodhead will see a lot of time on the field in passing downs (with or without Gordon beside him), but that shouldn’t affect the value of the rookie running back too much. Gordon made defenders look silly with his agility and speed at Wisconsin in 2014. Gordon will also be running behind an offensive line that ranked 6th in Offensive Line Win Probability Added a year ago. They added a Pro Bowl caliber guard in Orlando Franklin over the offseason from the Denver Broncos, giving that O-Line four guys over 320 Lbs. Needless to say, Gordon will have some support in front of him. You might have to take Gordon in one of the first four rounds, but he won’t disappoint. He has a RB2 floor this season with RB1 upside, and could possibly challenge Jamaal Charles for best running back in the division someday. Probably not in 2015, but some day. He might not have the appeal that comes with Gordon or Gurley, but from a physical talent standpoint, T.J. Yeldon is not too far behind. The rookie back out of Alabama has a clear path to playing time and Jags’ GM David Caldwell sees Yeldon as a three-down back. Denard Robinson, Yeldon’s main competition for primary carries, had a nice little stretch from Weeks 7-9 last season (22-127-1 vs CLE, 18-108-0 vs MIA, and 17-94-1 @CIN), but then averaged 3.18 YPC for the remainder of the season. The number of carries Robinson got diminished every week he played after playing the Bengals in Week 9. Yeldon, on the other hand, had a great career at Alabama. He amassed 3,300 yards in three seasons, averaging 5.77 YPC in the toughest conference in the NCAA. In 2014, the Jaguars coaching staff received a ton of heat for the heavy workload they gave rookie quarterback Blake Bortles. Gus Bradley and his new Offensive Coordinator Greg Olson may lean on the run a little more in 2015 in order to let their potential franchise quarterback develop into something special. Yeldon may not be regarded in the same breath as Gordon or Gurley, but there is a very strong possibility that he ends the season as a solid RB2. Don’t let the “rookie in Jacksonville” stigma fool you, he will be a very productive back in 2015 and beyond. Does any fantasy owner out there trust Joique Bell to be anything more than a flex play? I mean, he is a nice story and all (former member of the Ford Field security staff turned running back), but have you seen him run? He looks like a mall cop with pads and a helmet. He only had one game over 90 yards in 2014, and it took him 23 carries to get there. Don’t get me wrong. Bell has some value, but he has zero upside, and will be nothing more than a possible flex play who won’t average more than 4.00 YPC on a good day. Enter Ameer Abdullah. Among all Detroit running backs, he has the highest upside. He doesn’t necessarily have blazing track speed, but he is very agile and is rumored to be taking on some kick return duties for the Lions. Could Ameer Abdullah be a threat in the running and passing game for the Lions? Fun fact: Abdullah did not drop a single pass in his final two seasons at Nebraska. With Reggie Bush in San Francisco, there is a strong possibility that Abdullah could be that pass-catching running back that Lions’ Offensive Coordinator Joe Lombardi, a Sean Payton disciple, likes to utilize in the passing game. Reggie Bush caught 40 passes for 253 yards in Detroit last season. Is it wrong to think Abdullah could top those numbers? Sure, Theo Reddick is interesting. If the Lions were confident in his ability to take on a substantial passing-down running back role, why would they spend a second-round pick on a running back with a similar skill set? Not exactly a vote of confidence if you ask me. Abdullah represents the new-age running back that brings rushing and receiving skills to the table. He can more than likely be had in the middle rounds, and depending on the team’s loyalty to Joique Bell, he could end up being a nice RB2 by season’s end. And there you have it! Four rookie running backs that will not only outperform their draft positions, but make a serious impact for your team in 2015. 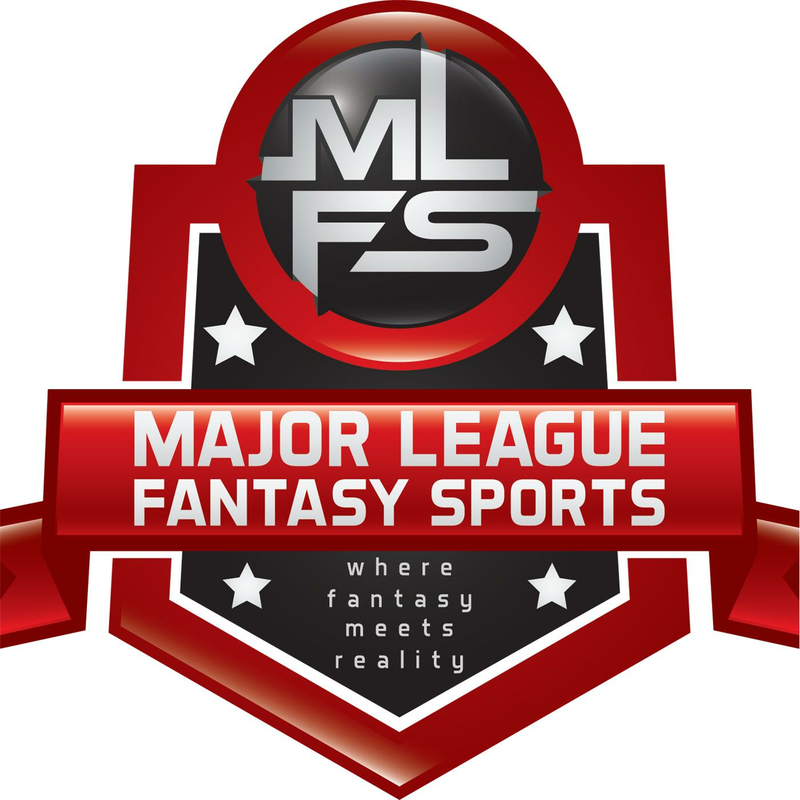 Major League Fanatsy Sports Radio Show: Join Ej Garr and Corey D. Roberts on Sunday June 7th from 7-9pm EST for this week’s episode of Major League Fantasy Sports radio sponsored by The Sports Palooza Radio Network. Call in at 646.915.8596 This week’s topics are the A.L. Central, and N.L. West. Our guests this week are Joe Iannone, Joe Ciccone, and Marc Foster. Joe Iannone is handling the A.L. East, A.L. Central, and his articles publish every Monday. Joe Ciccone is our chief editor, league participant, and the A.L. West & N.L. West writer who’s articles publish every Wednesday. Marc Foster is a former MLFS writer, a 2 time baseball champ and 1 time football champ. This is Marc’s 7th year with us. Come join a spirited debate.